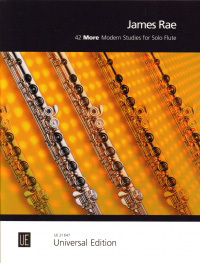 42 More Modern Studies for Solo Flute, by James Rae. Complementing the established Favourite: '40 Modern Studies'. Again Pieces are from elementary to more advanced levels varying from modern Classical to Jazz and Rock. 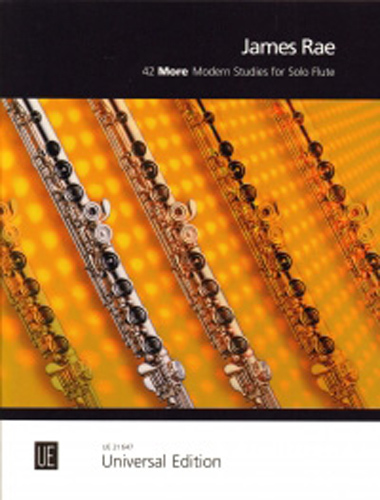 As the studies are technically demanding, they are all written in comfortable flute-orientated keys to allow the student to focus on interpretation. Each study is designed to improve the student's musical as well as technical abilities.